Receive 21 Voucher Bids. Learn more about Voucher Bids. Keep passengers entertained with the Boss BV11.2MC 11.2" Flip-Down Monitor with Built-In DVD Player, Interchangeable Housings and Headphones. Interchangeable housings in gray, black and tan let you match the interior of your vehicle. 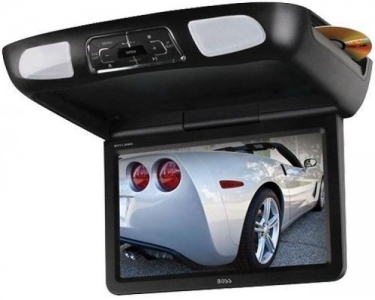 A built-in DVD player lets you watch your movies on the road with less clutter. Two dual channel headphones are included so the driver can have peace and quiet.